It was a sad day for journalists all around the world on Sunday after learning one of their own had been killed. An investigative journalist and his fiancée were found shot dead in their home in Slovakia on Sunday. While it has yet to be confirmed, it is believed that the killing is linked to the journalist’s last article. Jan Kuciak wrote about the Calabrian ‘ndrangheta organized crime group and its alleged ties to Slovakia’s prime minister and other government officials. This killing has Slovakia and the rest of the world worrying about the status of the freedom of the press. If journalists are made to fear for their lives, how can the truth be uncovered? This is far from the first murder of a journalist in recent times. Maltese anti-corruption journalist Daphne Caruana Galizia was killed by a car bomb last year following her Panama Papers stories. Gauri Lankesh, an Indian journalist and critic of Hindu extremism, was gunned down in front of her home last September. Gumaro Pérez Aguilando, a Mexican journalist, was shot dead in front of a group of children at his son’s school Christmas pageant last December. This marked the 12th death of a media worker in Mexico in 2017. And who can forget the Charlie Hebdo murders in Paris, where 12 people, including cartoonists, editors and columnists, were killed in the offices of the satirical magazine in early 2015. Freedom of speech and expression is every journalist’s right in a democratic society. Yet in countries such as India, which is regarded as one of the largest democracies, this freedom is largely restricted. For this reason, journalists are often afraid to openly speak their minds. As for Indian journalists in Canada, it becomes difficult to speak freely because they are used to conducting journalism in an environment that restricts freedom of the press. While Canada has thankfully not experienced the murder of a journalist since 1998, we are not free from worry about the freedom of journalists to tell the important stories. Last year, Canada dropped out of the top 20 in the Reporters Without Borders’ World Press Freedom Index. We now rank 22nd out of 180 countries, dropping four places from the year before. This ranking could surely be worse, but the fact that we are slowly dropping lower and lower on the totem pole is worrisome. Police spying and demanding for journalists to turn over confidential materials and reveal the identities of sources are to blame for this drop. Ben Makuch, a journalist at Vice, has been ordered by police and the courts to hand over his communications with Islamic State militant Farah Mohamed. Makuch feels that being forced to expose sources and materials threatens democracy. One of the most important jobs of a journalist is to protect their sources. If people are afraid to have their identities outed to police or the public without their permission, they are way less likely to come forward with information. This strips journalists of their ability to keep the public informed and knowledgeable about what is going on in the world around them. The worry is that this will set a precedent for journalism in Canada, where the government has the power to intervene and inhibit the free flow of information. There is one bright reprieve in Canada, the Journalistic Sources Protection Act, passed last year. It’s a new law which supports reporters’ responsibilities in protecting sources. It’s first application in a Quebec anti-corruption criminal case last month was a success when two reporters were not required to reveal their sources. Also fortunate, there are organizations dedicated to protecting the freedom of the press. Canadian Journalists for Free Expression is dedicated to protecting both freedom of expression and access to information in Canada and around the world. Each year CJFE releases a review of the state of free expression in Canada. Most recently, the idea of “fake news” and the increased surveillance of journalists were cited as major obstacles to journalistic freedom. The Committee to Protect Journalists releases documents and raises awareness concerning missing, imprisoned and murdered journalists across the globe. It maintains “murder is the ultimate form of censorship.” This is hard to argue with, as murder and violence permanently silences the voices of journalists looking to shed light on important issues. While it’s reassuring these terrifying events do not go unnoticed, it’s disheartening that organizations such as these even have to exist in the first place. In a perfect world, free expression and freedom of the press would exist in every country and journalists would feel safe to report the news without violent backlash or censorship. In order to be just to the journalistic profession, freedom of expression is the most important right to protect. Not only are journalists responsible for defending this freedom but the responsibility also lies with the judiciary to ensure journalists are able to exercise this right without fear of repercussion. Not all countries afford their citizens the right to express themselves. But it’s important that we do not become complacent. 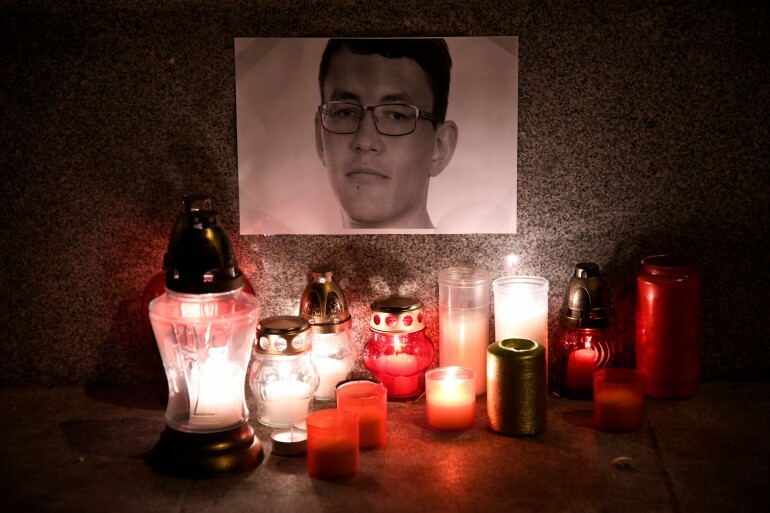 We must actively defend this right, and not allow journalists to be silenced, lest a story like Jan Kuciak’s occurs in Canada.